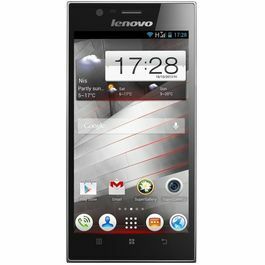 Lenovo A5000 boasts of its quality and style and has become very popular among smartphone users. Lenovo A5000 was quietly launched but there is nothing quiet about it. The feature rich phone screams quality and style. Check out its features and specifications to understand why. With a splash-proof screen you will be able to carry it freely even in rainy weather. It will take a little bit of wetness in its stride, thanks to the splash-proof nano coating. It's also got an ergonomic, rounded shape design for a comfortable grip. The 5 inch wide screen is perfect for viewing spreadsheets, browsing the internet, watching movies and making video calls. You get clear and sharp visuals on its in-plane switching (IPS)screen which comes with nearly 180° of wide-angle viewing. Lenovo A5000 enables you will seamless multi-tasking, faster performance, and more fluid gaming & video experience, courtesy of its 1.3GHz quad core processor. Team this up with Android OS v4.4 KitKat and the system reaches its all-time high efficiency. It optimizes the memory, improves the touch-screen quality by making its response time faster and most accurate. You will be able to listen to a podcast while browsing the web, and game on, all without a hitch. Now you will be able to find your way around a destination even when you are offline. A5000 includes satellite controlled GPS to guide you accurately even without internet connection. With HSPA connectivity and download speeds of 21 Mbps, you will have instant access to online social networks, videos, music, et al. Now keep work and pleasure separate with two SIM cards in one smartphone. This facility will let you have different data plans at the same time and save money. You get do a lot more with the A5000 because of all the preloaded apps that it comes with. You get to uses top-class apps like SHAREit, for wireless file sharing without network charges or WiFi; CLONEit, which enables you to instantly transfer all your old data to your new Lenovo phone; Security, which speeds up your phone and protects it from viruses; and SYNCit, for back up and restore of contacts, SMS messages, and call logs. Other then the mentioned utility apps like Evernote, Kingsoft Office, and Camcard make your life a lot easy. The integrated dual cameras in your Lenovo A5000 click stunning images like none other. The 8MP auto-focus primary camera with LED flash captures sharp, clear photos and videos. The 2 MP fixed-focus front-facing camera makes video calling and clicking selfies extremely easy. With the A5000 entertainment doesn’t stop, thanks to its multimedia features. Its supports FM Radio and all major image, audio and video formats. 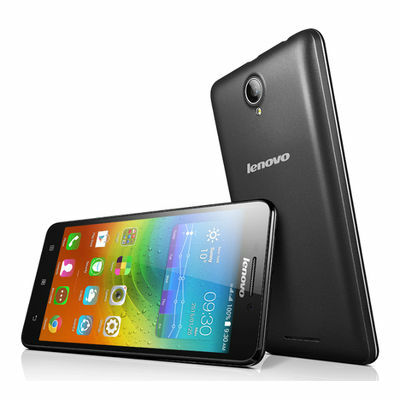 Lenovo A500 offers 1 GB RAM, 8 GB ROM and expandable 32 GB storage in a microSD card. That's a lot of space for all your files, photos, music, videos, movies, ebooks, etc. One of the most notable features of Lenovo A5000 is its massive L-Po battery with a capacity of 4000 mAh. It has been designed to deliver up to 17 hours of talk time and up to 792 hours of standby time on 3G networks. It will keep you going and going for extra long hours. To fully charge the battery you only need 3 hours and a 15 charge will give you a 4-hour talk time. In addition, it comes with an energy saving software to extend the battery life further. Connect with the world smartly with Lenovo A536. 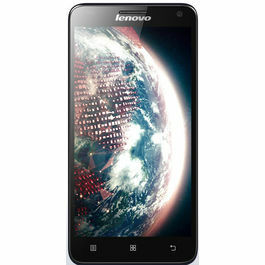 And boast about this one and several other Lenovo's smartphone world! Android mobile phones have brought in the revolution, to the smartphone world. It suits all pockets, and even that grand pa of your's could operate through it's easy interface! Lenovo A5000 boasts of its quality and style and has become very popular among smartphone users.Lenovo A5000 was quietly launched but there is nothing quiet about it. The feature rich phone screams quality and style. Check out its features and specifications to understand why.Design & DisplayWith a splash-proof screen you will be able to carry it freely even in rainy weather. It will take a little bit of wetness in its stride, thanks to the splash-proof nano coating. It's also got an ergonomic, rounded shape design for a comfortable grip. The 5 inch wide screen is perfect for viewing spreadsheets, browsing the internet, watching movies and making video calls. You get clear and sharp visuals on its in-plane switching (IPS)screen which comes with nearly 180° of wide-angle viewing.Processor & OSLenovo A5000 enables you will seamless multi-tasking, faster performance, and more fluid gaming & video experience, courtesy of its 1.3GHz quad core processor. Team this up with Android OS v4.4 KitKat and the system reaches its all-time high efficiency. It optimizes the memory, improves the touch-screen quality by making its response time faster and most accurate. You will be able to listen to a podcast while browsing the web, and game on, all without a hitch.ConnectivityNow you will be able to find your way around a destination even when you are offline. A5000 includes satellite controlled GPS to guide you accurately even without internet connection. With HSPA connectivity and download speeds of 21 Mbps, you will have instant access to online social networks, videos, music, et al.Other FeaturesNow keep work and pleasure separate with two SIM cards in one smartphone. This facility will let you have different data plans at the same time and save money. You get do a lot more with the A5000 because of all the preloaded apps that it comes with. You get to uses top-class apps like SHAREit, for wireless file sharing without network charges or WiFi; CLONEit, which enables you to instantly transfer all your old data to your new Lenovo phone; Security, which speeds up your phone and protects it from viruses; and SYNCit, for back up and restore of contacts, SMS messages, and call logs. Other then the mentioned utility apps like Evernote, Kingsoft Office, and Camcard make your life a lot easy.CameraThe integrated dual cameras in your Lenovo A5000 click stunning images like none other. The 8MP auto-focus primary camera with LED flash captures sharp, clear photos and videos. The 2 MP fixed-focus front-facing camera makes video calling and clicking selfies extremely easy.MultimediaWith the A5000 entertainment doesn’t stop, thanks to its multimedia features. 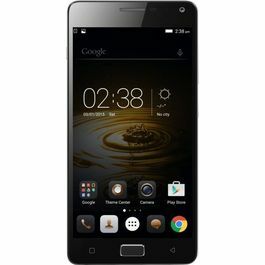 Its supports FM Radio and all major image, audio and video formats.MemoryLenovo A500 offers 1 GB RAM, 8 GB ROM and expandable 32 GB storage in a microSD card. That's a lot of space for all your files, photos, music, videos, movies, ebooks, etc.4000 mAh BatteryOne of the most notable features of Lenovo A5000 is its massive L-Po battery with a capacity of 4000 mAh. It has been designed to deliver up to 17 hours of talk time and up to 792 hours of standby time on 3G networks. It will keep you going and going for extra long hours. To fully charge the battery you only need 3 hours and a 15 charge will give you a 4-hour talk time. In addition, it comes with an energy saving software to extend the battery life further. Connect with the world smartly with Lenovo A536. 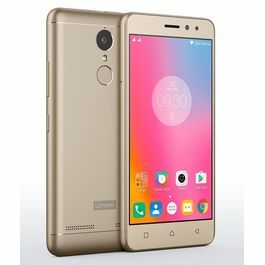 And boast about this one and several other Lenovo's smartphone world!Android mobile phones have brought in the revolution, to the smartphone world. It suits all pockets, and even that grand pa of your's could operate through it's easy interface!